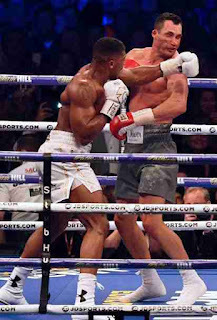 Britain’s Anthony Joshua defeated veteran Ukrainian Wladimir Klitschko in a world heavyweight title fight epic in front of 90,000 people at Wembley on Saturday, taking victory on an 11th round stoppage. 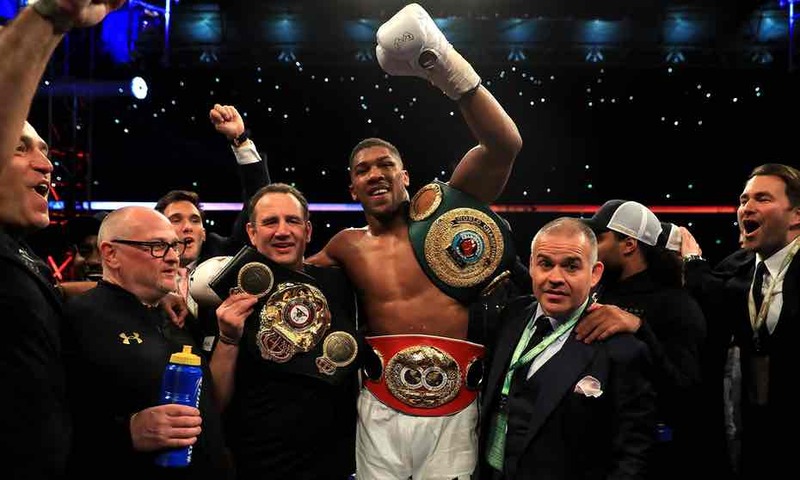 Joshua added the WBA title to his IBF belt but only after being knocked to the canvas by the 41-year-old Klitschko in the sixth round. The Ukrainian was also sent crashing to the floor in the fifth round and twice more in the pivotal 11th as the 27-year-old British fighter took his record to 19 wins in 19 fights. “What can I say? 19-0, three and a half years in the game. As I said, I’m not perfect but I’m trying and if you don’t take part you’re going to fail,” said Joshua. Tributes were quickly paid to both men. “How much heart did @Klitschko show in this fight? Gotta respect it. Hold ur head high brother! 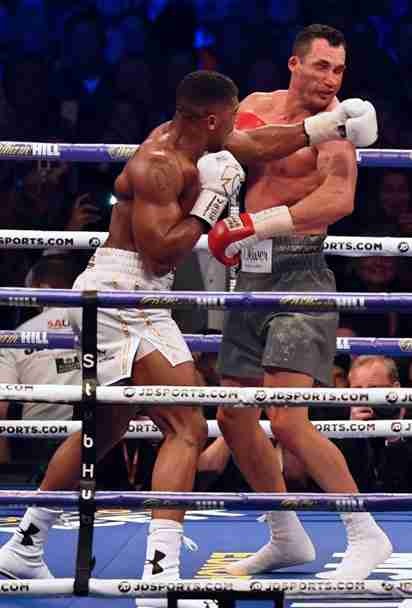 #joshuaklitschko,” tweeted Britain’s Lennox Lewis, a former world heavyweight champion sitting ringside.